One of the worst parts of visiting the dentist is getting impressions taken. It is traditionally the first experience someone has at the orthodontist. In addition to photos and X-rays, every orthodontic patient is required to have dental impressions taken as a record of what the starting positions the teeth are before orthodontic treatment begins. It’s not uncommon for impressions to be messy, uncomfortable, and taste awful. Luckily dental impressions for initial records and Invisalign treatment are a thing of the past! Last summer we introduced the iTero Element Scanner into our practice. The iTero scanner digitally captures the structure of your teeth and gums using a comfortable wand. It only takes a few minutes to scan your entire mouth, including the soft-tissue structures, rendering a perfect 3D digital impression without the discomfort and gagging associated with conventional dental impressions. Models are no longer stored in hundreds of storage boxes in our practice basement, which we would need to dig out if ever needed. All patients’ information is now stored securely online in the iTero network, which can be accessed in seconds. The iTero scanner also has a super cool outcome simulator. This allows the digital impression to simulate orthodontic treatment to show what a patient will look like at the end of treatment. Check out the link below to see a video of the simulator in action. Keep braces fun and our patients motivated with Wooden Nickels! Sometimes, we need a little extra motivation to be successful. To help our patients stay on track with their treatment, we offer Wooden Nickels to our patient. At each appointment, you will be given a cooperation report; this report will determine the number of nickels you receive at each appointment. You save these up and then trade them in for a gift card. It is our way of giving you the boost you need while thanking you for being a wonderful patient. Referring a friend or family member to our office who starts treatment would earn you 20 Wooden Nickels! Wear your Seymour Smiles t-shirt in on your appointment and earn two Wooden Nickels. Every “A” on your report card earns you two Wooden Nickels …so bring in your report card! Download the “Patient Certificate for Kids” and bring it in signed by the hygienist. At your dentist office from your last cleaning and you will earn four Wooden Nickels! Like us on Facebook and earn five Wooden Nickels. It’s not uncommon for us to give away $100 gift cards for us to our SUPERSTAR patients. Check our website Somersetorthospecialists.com to check out the complete list of gift cards we offer! We know that it can be quite an adjustment to eat with braces. Especially with all the yummy foods for the holidays. Caramel, lollipops, and other gooey treats can be hard to resist this time of year when you have your new set of braces. However, there is good news! We are happy to share two great recipes that are perfect for your sweet tooth and brace-safe. So take a look below and check out a few of these orthodontist approved treats. Preheat oven to 425°. In a small bowl, stir together warm water, yeast and sugar. In a large mixing bowl, mix salt and flour with a large spoon. After 5 minutes, stir yeast mix into flour mix. With well-floured hands, shape dough into 6-inch rods, initials, animals or traditional twisted pretzel shapes. Brush them with the beaten egg and place on a greased cookie sheet. If desired, sprinkle them with extra salt or cinnamon-sugar. Bake for 12 minutes at 425°. Preheat oven to 350°. In a 9”x13” pan, spread sliced apples. Sprinkle with the water and cinnamon. In a small bowl, combine flour, sugar and margarine with a pastry cutter or fork, until mixture becomes fine crumbs. Sprinkle crumb topping over apples. Bake for 35-40 minutes at 350°. Cover with foil while warm to soften topping. Makes about eight servings. My orthodontist had told me that in order to obtain the best result possible, I would have to be in braces for two to three years and undergo jaw surgery. Jaw surgery?! I had always had a big, gummy smile and was never able to close my mouth all the way, but I never thought I would be a candidate for jaw surgery. Most sixteen year olds would freak out at the thought of having jaw surgery but I was one of the few that was actually excited! I was excited because I couldn’t wait to feel “normal.” Here I was, in high school, where none of my peers had the same problem with their bite. 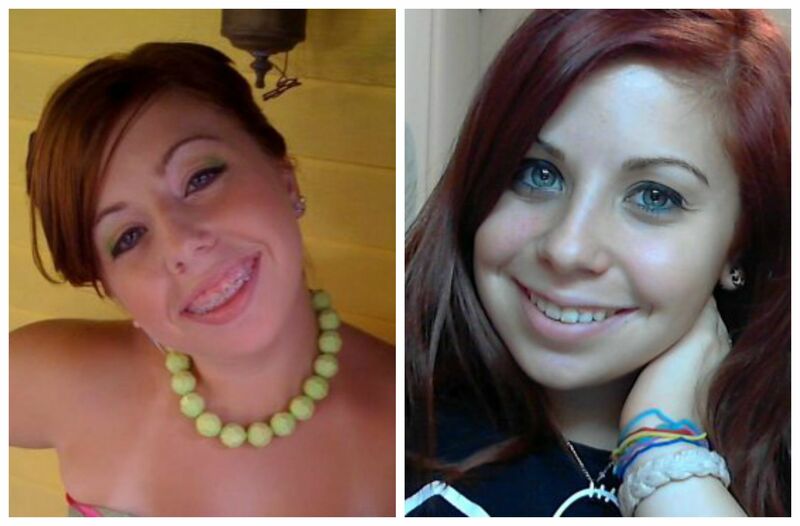 I couldn’t wait to smile without a mile of gum above my teeth. I was so eager for the day when my tongue didn’t slightly stick out of my mouth since I couldn’t close my mouth completely. When I met with my oral surgeon in order to discuss my jaw surgery in more detail, he explained that the surgery was going to be 6.5 hours long. Most people would have walked out of the office right then and there but I was so interested in the surgery that I just wanted to learn more about it. The surgeon informed me that in order to make my smile less gummy, he had to move my upper jaw up. He also said that to help close my mouth, he had to take my lower jaw and move it forward. I was told that after the surgery, my jaw would be wired shut for about 2 weeks as well. No matter how terrifying this may sound, I did not hesitate when signing all of the paperwork that was necessary in order for the surgery to take place. The surgery that was meant to change my life for the better was scheduled three weeks after my 18th birthday. After my surgery, my face was very swollen and I was in a tremendous amount of pain. My first thought was, “I immediately regret this decision.” After a day of rest, I finally built up enough strength to walk and headed straight for the mirror. The tears were instantaneous. I could not stop crying. My face was huge! I looked like a chipmunk hoarding for the winter! Thank goodness my swelling somewhat decreased two weeks after surgery when my jaw was no longer wired shut. When the swelling was no longer as prominent, I looked and felt fantastic! 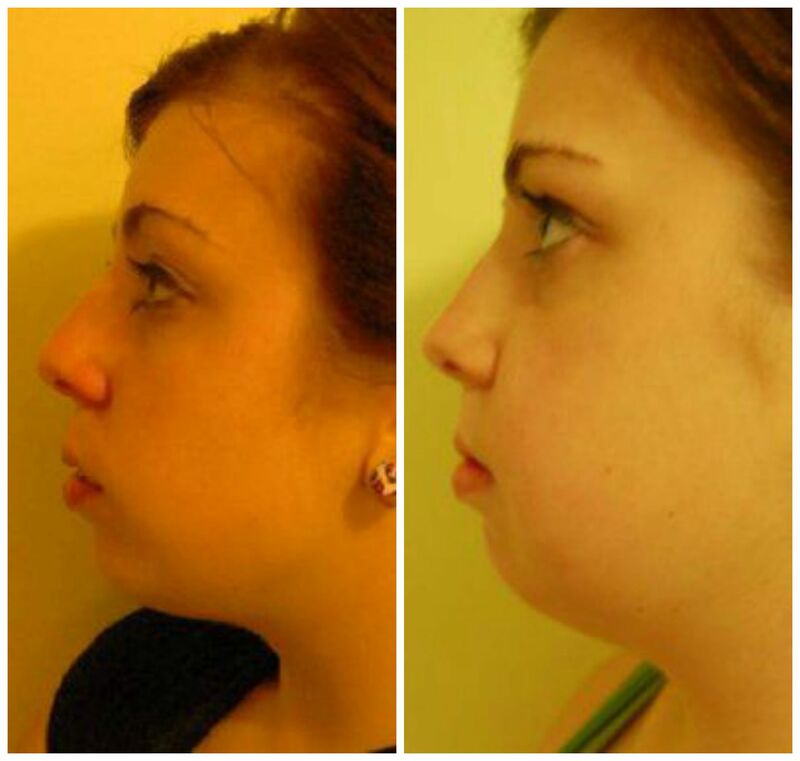 Jaw surgery was the best decision I had ever made. Without it, my life would have been so much different and I probably would have never been as confident in myself as I am now. I would recommend it to anyone! Currently, I now have the pleasure of working with Dr. Peterman and Dr. Wright at Somerset Orthodontic Specialists! Both doctors are true perfectionists. Each day I am able to see the progress our patients are making throughout their treatment on a daily basis. It is so exciting to see their teeth improve overtime since I personally know how good it feels once that perfect result is achieved! Having an opportunity to get a fantastic smile is no longer just for children. Orthodontic technologies have gone through a true revolution over the past decade allowing adults new opportunities to straighten their teeth quickly, comfortably, and now even invisibly! First, traditional braces can now be offered in clear, tooth colored alternatives. The brackets blend in with teeth, allowing us to match our fantastic results of metal braces, with aesthetic braces. We are also excited to offer white wires in addition to clear brackets creating the most aesthetic alternative to traditional metal braces anywhere. Second, our practice offers Invisalign. Our experience in treating patients with Invisalign has earned us Preferred Provider status! Invisalign moves teeth without brackets or wires by using clear, removable aligners. Patients in our practice are getting fantastic results with Invisalign. Best of all patient are able to remove their aligners to eat, so they don’t need to change their diet, and can brush and floss as they would without braces. Finally, we are excited to introduce Incognito lingual braces to our practice. Incongito are custom braces that are placed behind the teeth. They are 100% invisible, going a step beyond clear braces or Invisalign. They are also bonded to each individual tooth in a similar manner to traditional braces, providing the same precision of traditional braces. 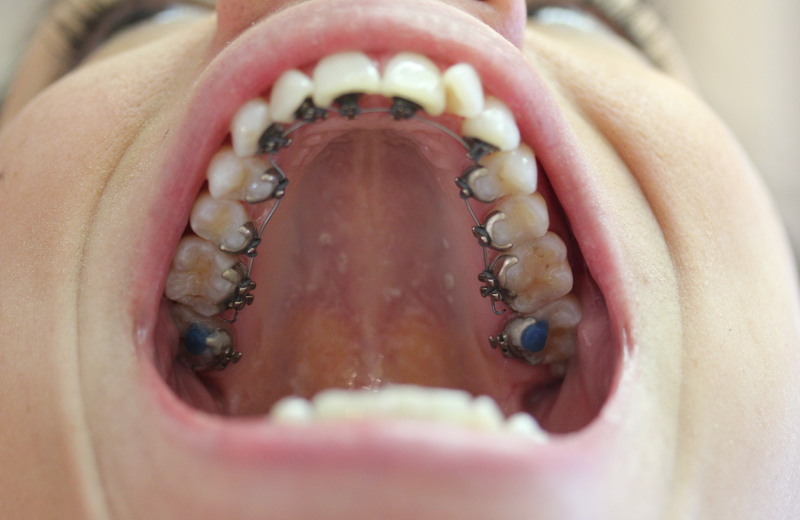 Lingual braces may be a great alternative for patient who may have told they are not candidates for Invisalign. Incognito lingual braces are not the same lingual braces from the 1990’s, which were infamous for cutting the tongue and disturbing speech. Incognito braces are individually cast by a computer and every wire is bent by a robot before they are delivered to the patient! This allows them to be smooth, low profile, very comfortable to wear, and faster adjustment to normal speech. Straight teeth are no longer for just kids. We are proving that every day in our practice. We would love to see you for a consultation to discuss many of the exciting orthodontic treatment options available today. Why should your child see the orthodontist by age 7? One of the biggest myths among parents are that children do not need to see an orthodontic specialist until all of the child’s baby teeth have fallen out. According to the American Association of Orthodontists, children should see the orthodontist by age 7. Early evaluation is most critical when a more serious problem has gone undetected. Narrow palates, early loss of baby teeth, harmful habits, underbites, and severe protrusions are just a few problems that may best be treated with early intervention. These problems, if treated early, can often lessen the need for permanent tooth extraction, and allow teeth to erupt into appropriate position, possibly lessening any future problems. Orthodontists are not only tooth experts, but also specialists in dentofacial orthopedics. We understand how jaws grow and can encourage normal facial growth and development. Even with the benefit of early intervention, we understand that orthodontics is only started when absolutely necessary. Teeth that are crowded are still best treated when all adult teeth are in the mouth. Our FREE Orthodontic Observation Program allows the community to visit our office every 6-12 months free of charge. We will examine your child, discuss at length any questions you have about orthodontics, and allow you to get to know us better. There is never a charge and as a gift we will provide a discount to those who eventually do need treatment and are part of our program. Our goal is to provide our patients with the highest level of professional treatment in a fun, relaxed, and no pressure environment. Please come visit us soon!